I’ve had fun stumbling across some of these programs by chance while driving back and forth across the prairies. It’s great to hear the Cree language spoken, even if you don’t understand it well. Some recent comments on the Facebook group Nêhiyâwêwin/Cree Word of the Day made me realize some of these stations stream their programs live. It sent me hunting for links. Thanks for sending me more to add to this list! 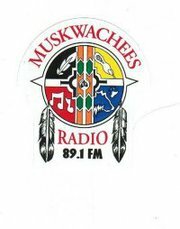 Missinipi’s “Achimowin” program is the first level of information services to the Cree listeners of northern & central Saskatchewan. It covers national, regional, and local news; in-depth discussions; phone-in-shows; remote broadcasts; sports; weather; and special programs on the environment, holistic healing, education, etc. The “Achimowin” program reflects what the community is thinking, saying and feeling. It covers issues that are totally relevant to northern people. 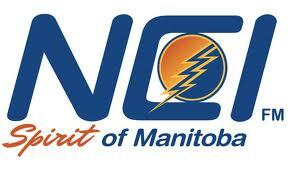 This is all done in the context of serving the Cree speaking people of northern Saskatchewan. The Achimowin Show has been a major part of MBC broadcasts since 1984. It should be noted that the Achimowin Show compliments Cree language retention endeavours that are undertaken by educational institutions/bands/agencies. It goes as far as laying new ground in terms of “inventing” new & contemporary terminology! Online: http://www.samsoncree.com/mradio.htm Scroll to the bottom of the page. If it doesn’t load automatically, click on the “pause” button, then click again on the “play” arrow when it re-appears. 7-11 am MST Weekdays: DJs Bobby Jack and Kistew Maskwa both use a lot of Cree language in their morning programming, and include features like “Cree Word of the day.” Powwow music is a terrific bonus in the 9-11 slot! Online: http://www.ncifm.com Click on the “Listen Live” button at the top of the page. 7-8 pm CST, Monday to Thursday: Voices of the North, with DJ Lorraine George, a fluent n-dialect speaker. Online: www.onionlake.ca Click on KR102.5 image to download the player. 6 Responses to Cree Language Radio: Listen Live!